"I wanted to thank you, Jake and Scott ... in fact everybody else there at Cline for the efforts you all went to get our Area 30 Restrooms and Area 90 Fragrance Gardens Doors & Frames out a day earlier than we thought was possible. I really appreciate the extra lengths that everybody went to and thanks to you we were able to get these doors loaded in a container yesterday which hopefully will be on its way to Nassau tonight and give us a chance of closing in those areas early next week before Christmas." "Working with Cline Doors was truly a pleasure. Their highly skilled and very knowledgeable staff made ordering the correct doors very easy. They meticulously looked over every detail to make sure that everything was just the way we wanted it. We couldn't be more satisfied with the entire process and the final result. I can without reservation give Cline Doors my highest recommendation." "Just a note to thank you for the excellent product. 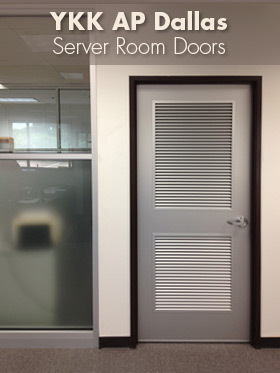 Our unique installation required a set of doors that were manufactured to exacting tolerances. APL's fourth set of Cline Aluminum Doors also fit perfectly, as anticipated. Not a single shim was used. The margins around the doors were consistent as specified in your drawings. It is a pleasure to work with a company that provides no excuse products. I highly recommend the use of your products, in applications where folding doors of large dimensions are required. The 15ft. wide x 12 ft. tall, 3 leaf door can easily be operated by children of elementary school age." "I just wanted to say our office door looks great. Too many times in our business manufacturing a job well done goes un-noticed. Your quality is second to none. The door looks amazing and fit like a glove. Please extend our appreciation to your staff." "Thanks very much! We definitely appreciate the manner in which your company does business. 'Customer Service' is in every ad, easy to say, easy to espouse. YOU PEOPLE DELIVER IT, AND WE APPRECIATE IT." Green since 1961, Cline Doors are made of recyclable aluminum materials, and designed to withstand even the harshest of chemicals or environments. Cline Doors pre- and post-consumer recycle content can contribute to your Sustainable Design and Green Building requirements, while our doors' low maintenance and service longevity also reduce your life-cycle costs.